Welcome to BatleySmile. A big thank you to all of our many friends and supporters who have inspired us since we all started smiling in Batley in 2009. If you are new to smiling, welcome. BatleySmile CIC was formed in December 2014. 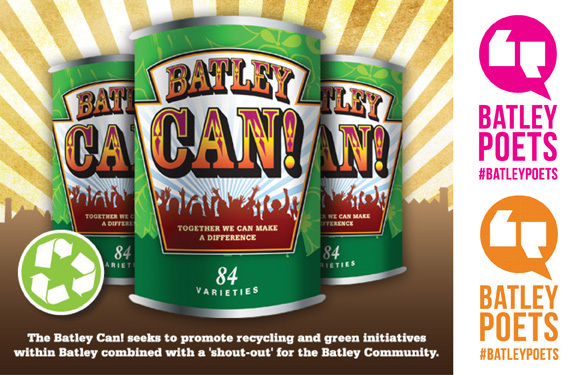 Our mission is to 'talk-up' and promote the town of Batley, West Yorkshire, UK. Our aim is to cooperate with others to carry out activities for the benefit of the town of Batley, its residents and local organisations. Please call Mark Griffin on 07736 416668 or Email info@batleysmile.co.uk and let's have a chat and a smile. Of the many folk and organisations who have inspired the development of BatleySmile CIC it is right to acknowledge and say thanks to Ahmad Lunat OBE and Malcolm Haigh BEM. There are many inspiring community arts, cultural and business groups in Batley including: Batley Community Alliance, Batley History Group, Batley Cricket Club, Batley Business Association, Batley Festival, Batley Food Bank, Batley Poets, The Gujarati Writers Forum, Howden Clough Community Centre, The Indian Muslim Welfare Society, Mount Cricket Club, The Pakistani Kashmiri Welfare Society, St Marys Social Club and as Batley folk will tell you, many, many more!